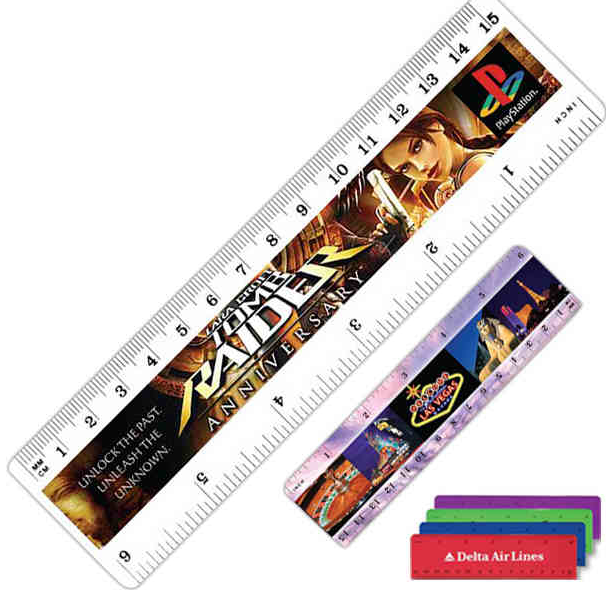 Digital Full Color Custom Printed Rulers Plastic 6"
Full color digital plastic 6 inch ruler front 6" x 3/4"
front 6" x 3/4" - Plastic 6" ruler with beveled edges on metric scale. Measures 6 1/4" x 1 11/16". Scale: English and metric printed in black.